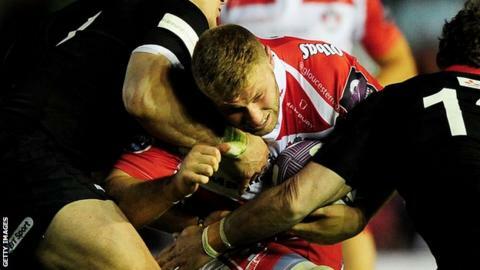 Gloucester flanker Ross Moriarty has been cited after allegedly striking an Edinburgh player with his knee in the European Challenge Cup final. The incident occurred in the 54th minute at Twickenham Stoop between 21-year-old Moriarty and Fraser McKenzie. Moriarty was sin-binned as the Cherry and Whites won the match 19-13. A hearing will be held in Dublin on Thursday with sanctions ranging from a three-week ban up to a year, if St Helens-born Moriarty is found guilty.